We have far more freedom than our ancestors, yet we choose to bargain it for more stuff. You might be amazed to know that I am still at the same level in terms of my salary as I was 4 years back. Yes, its because of the decisions I consciously made in the past but that’s not the point. The point is- I am still able to smile. That means I am able to pay my bills timely as well as make future investments. Back then, It was only me consuming all the salary amount and now, we are a family of 3. Though there are 2 earning hands now but still. Credit cards are self-destructing instruments. They give you the power to spend more than you can afford. We all understand that cards are only issued after analyzing the past records and current payback capacity. But still we fail to repay our already-used money to the Bank and the stats are discouraging. Yes, I do have one but use it only for my Blog expenses as most of the companies accept credit cards. I got my first Job in 2010 and started investing right then, thanks to my Mother who constantly pushed me for the same. It was after 5 years I realized the benefit of the same. More Earlier the Better it is. It really helped me a big way. You should invest at least 10% of your monthly salary/income. Do you buy yourself an expensive coffee or a pocket pinching drink every now and then. Are your monthly subscriptions overdo your available time? Cut out on these financial burdens and you will see- It will help you repaying your debts fast, fund your Hobby or do some charity. And keep the debit dates in the first week of the Month. This will help you chart out your rest of the expenses with the available account balance. Not only for bills but also do that for your savings. You can open up a new tab and order an item within minutes, making it way too easy to shop impulsively. If you force yourself to shop offline only, you’ll probably buy less stuff. I bought 4 things online till date: A pen drive, A bag, A jacket and a pair of slippers. Personally too, I love to shop offline as it gives you the real picture of your money spent. Technology is evolving fast and the Gadget you bought a few months ago may be labeled as outdated now. But do not just buy for the sake of owning what is latest in the market but see if you really need it. Buying an another smartphone just for a particular feature before even exploring the old one will not be called a smart decision. In a short period of time, your entire life can transform and you will achieve financial freedom. All it takes is a plan, determination and consistent action in the right direction. 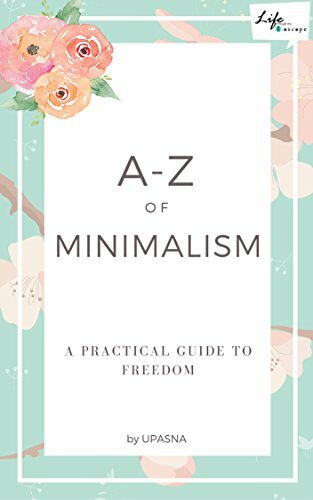 Being minimalist is not about denying pleasure or depriving yourself but not overwhelming yourself with the stuff. Share your steps to financial freedom. Great advice! – “Start investing early.” This is my biggest regret! I so wish that I had done this but I waited until I was almost thirty before I took it seriously! These are such great tips. I wish I had invested earlier (although it’s never too late,) and I’m with you on the credit cards. At the end of the day, there’s no such thing as good debt! You are right Sammy. Debt comes with a burden. Upasna, it’s super wise of your Mom to urge you into investing. I have realized my folly in not investing and deciding to go for insurance now. I have chucked out my credit card and auto payment is very helpful. I agree with you fully. Thanks for your comment Vishal. Sorry for my late reply.